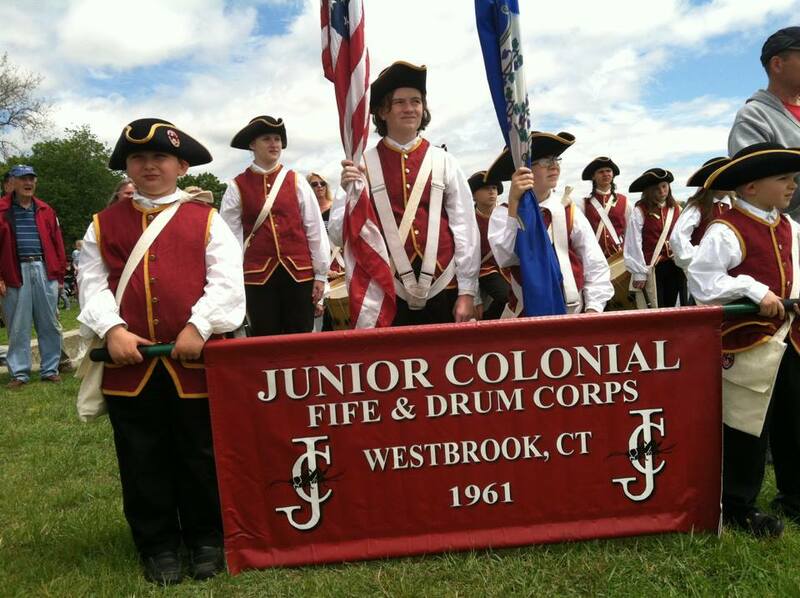 Junior Colonial Fife & Drum Corps - Westbrook, CT. 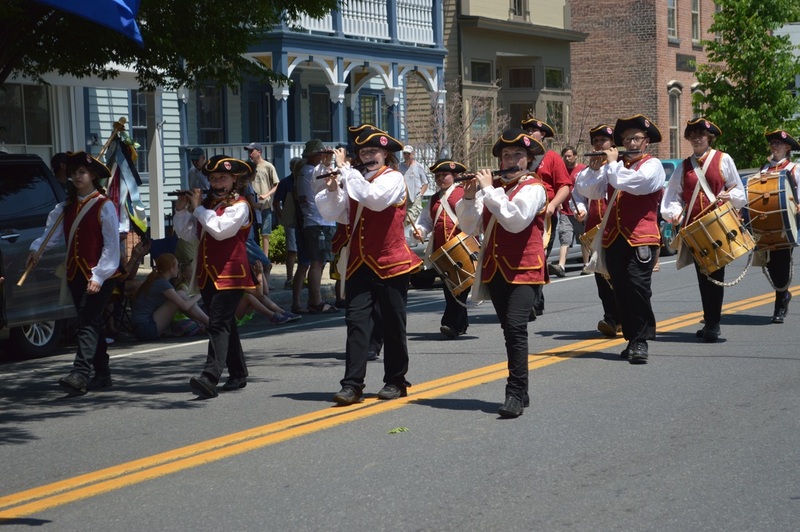 The Junior Colonials Fife and Drum Corps was organized in 1961 to educate its' members in musicianship and in the heritage of the fife and drum movement. In addition, a goal of the Corps was to provide fun for its' members within a family atmosphere. One of the original organizers of the corps was Father Kenneth Kinner, Chaplain Emeritus of the Company of Fifers and Drummers. 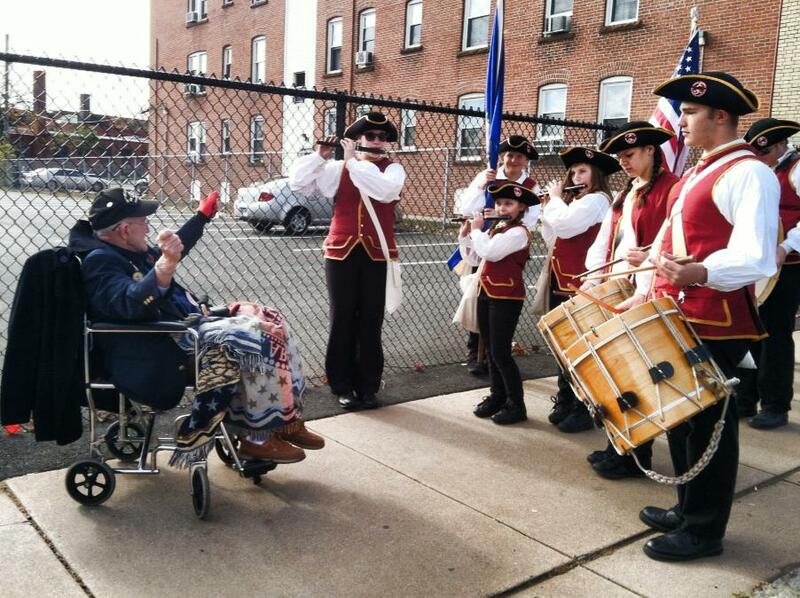 The Junior Colonials attend musters, parades, and competitions throughout the northeastern United States. They also can be hired to play at private events. Uniforms include black tricorn hats, red vests, and black trousers. Designed by former corps director, Buzz Allen, the Junior Colonials logo is the cricket, a colonial symbol for good luck. It is featured on the corps banner and flag.